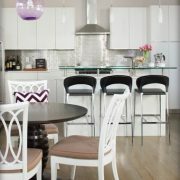 This townhome project was completed for a woman who was looking for refined color palettes and sensible modern design. 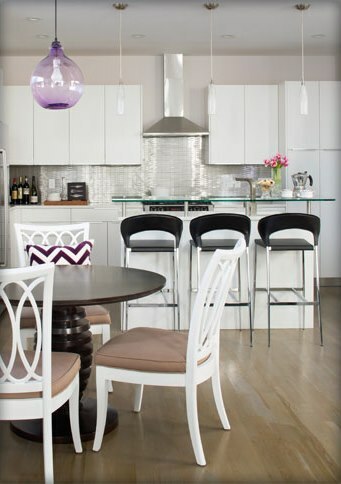 The design overhaul tackled every room of the townhome save for the kitchen area. 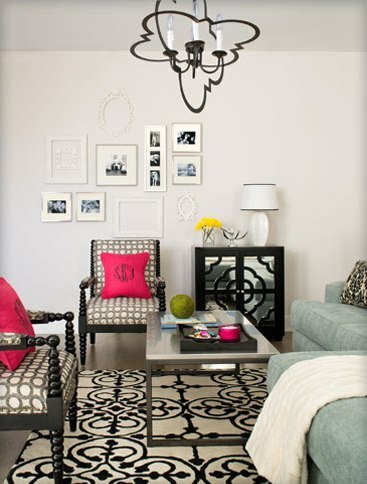 The client wanted to maintain a black and white palette throughout, with pops of bright color in each room. 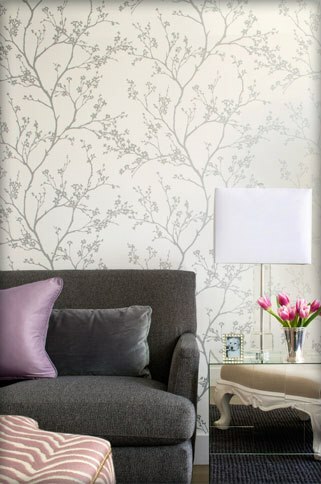 The space itself was in a newer and more modern building, and K&Z was charged with taking a fairly minimalist space and imbuing it with character that perfectly reflected the client’s tastes. 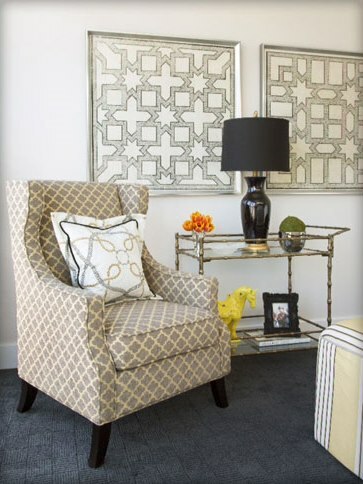 We were able to do this by incorporating colors and textures that added warmth to the design, while still keeping the space fresh, inviting and fun. 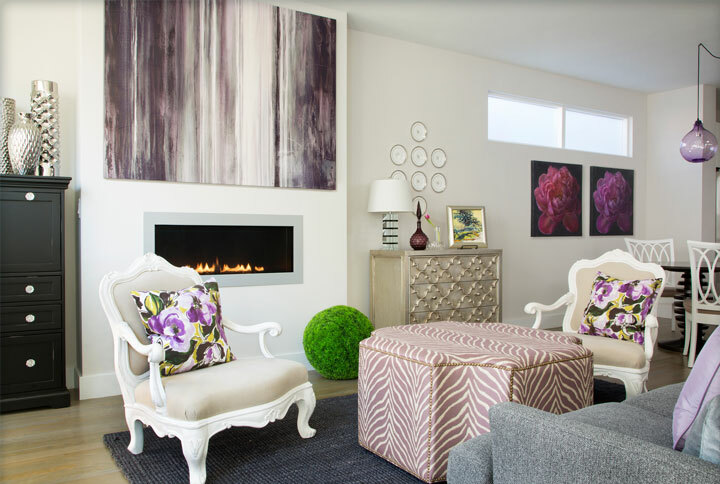 The homeowner especially enjoyed the funkier design details, such as the white bergere chairs, bold prints and metallic touches. 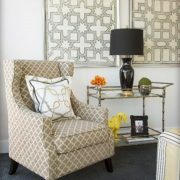 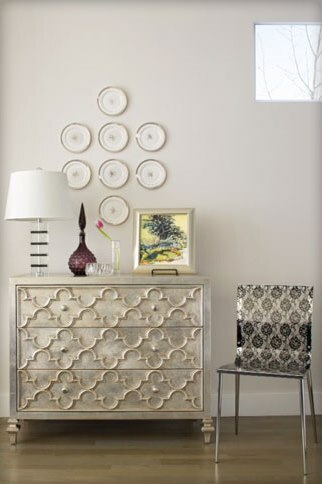 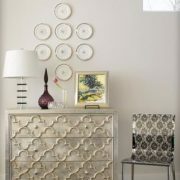 To finish off the space, we added a touch of sparkle and glam within elements, like the light fixtures and side tables.